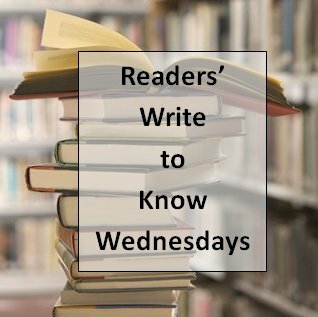 Welcome to Readers’ Write to Know Wednesday! I am thrilled today to introduce to you my personal friend, Amy Durham. And — in an exciting twist for this inaugural Readers’ Write to Know Wednesday, we are giving away an autographed copy of Amy’s book! Read below to find out how you can enter to win! Out of the questions submitted by you in my survey, Amy chose 10 to answer. I hope you enjoy reading her responses as much as I did! I like to call myself a thirty-something professional multi-tasker. I wear a lot of hats. Wife, Mom, Teacher, Friend, Author, and at various times I’m also Cook, Laundry Lady, Church Nursery Worker, Homework Helper, etc. etc. My life is busy and completely UNdull. My husband of nearly 16 years and I are raising 3 boys, ages 13 ½ (and yeah, the half is important to him! ), 9, and 6. I’m a middle school and high school vocal music teacher. And I’m a young adult fiction author. Throughout all of that is the thread of creativity, without which I would surely shrivel up and die. Parenting and family life is most definitely creative… I mean, you can only say “because I told you so” so many times before you’ve got to create another reason “why”. And teaching is the same way. You can teach the same stuff, the exact same way all the time and get completely bored, or you can switch it up and create new and different ways of approaching the same subject. And cooking… that’s one of my favorites. Nothing like creating something fantastic that my family enjoys. I love the immediate gratification cooking provides. And of course, writing. Where would I be without it? It’s the one creative outlet that’s all mine, and it gives me something none of the others do! 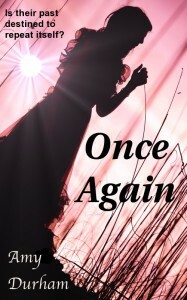 “Once Again” is a Young Adult Paranormal Romance. I love writing paranormal stories, because I find that when I read, paranormals allow me to reallllllly suspend disbelief and escape into the book. The main characters are Layla Bradford and Lucas Ellis, both high school students. As they get to know one another and grow closer, they discover (through dreams and visions) that they are the reincarnation of a young married couple from the mid-1800s, who suffered a horrible tragedy. The madman responsible for the tragedy was never brought to justice and no one ever knew the truth of what happened. Layla and Lucas must uncover the truth of their past life in order to keep the same tragedy from happening once again. I tried for some time to find a literary agent and go the traditional publishing route. More than the potential financial advance or the mass market of my book, what I was really seeking was the approval… the affirmation that my writing was good. What I got instead was a lot of “positive rejections”, if there is such a thing. I got comments like “I love your writing, but we don’t have room in our line up right now” and “This premise is so fresh. You are SO close.” And what I wound up feeling was that I was stuck. I found it difficult to keep writing when I was seeing no movement on the book that was already done! I was inspired by several Indie authors that I know personally, and once I began considering Indie publishing, the more I realized that I didn’t need an agent or a publisher to affirm my work. I needed to believe in myself, and the affirmation would come from readers. Once the decision to “go Indie” was made, it was as if a weight was lifted from me, and I felt more free and more creative than I had in over a year. I KNEW it was the right decision, because I was no longer stuck in that vacuum of non-momentum. I was moving FORWARD! The desire to write a book was born in me during the 6th grade, quite by accident. It began as a love of writing poetry and putting words together that rhymed. Soon, I was scribbling sappy teen love stories in my school notebooks! WRITE! Seriously, it’s as simple as that. Write because you love it, and because the writing gives you something you can’t get anywhere else. Students at school who know that I write, often bring me poems or little stories they’ve written. Of course, they’re very juvenile and cliché, but who cares! They’re WRITING! And that’s how it starts. You don’t get better as a writer unless you write, so seriously. JUST WRITE! Computer for sure! I love having a laptop and being able to write in various places. But I also find there’s something kind of magical about using actually paper and pen/pencil. I will jot down ideas, sequences of events, character profiles on scrap paper if I’m away from my computer. I don’t know that it’s all that strange, but several of my “inspirations” have happened at church. In fact, I plotted “Once Again” on the back of 3 bulletins one Sunday morning a few years ago. And recently I did the same thing with a non-paranormal that I have plotted and planned for the near future. I don’t really think it’s a coincidence or an accident. I think it’s confirmation that God has blessed my writing and the creative part of me! My mom and I read all the E.B. White books, and I remember that “The Trumpet of the Swan” was my favorite. We also read a TON of the Judy Blume books together. The first book I read on my own and loved was “Christy” by Catherine Marshall. I was in the 8th grade then, and I felt very grown up reading a big adult book all on my own! It’s a bit of both for me. I wouldn’t write if I didn’t enjoy it, but at the same time, if I’m going to put books out there and expect people to enjoy reading them, I think it’s important to take the audience into consideration. In the end, I think there has to be a balance. If you don’t enjoy what you write, that will reflect in the finished product and the reader will know. However, if you write without considering the reader at all, that will also reflect. There’s a LOT of me in Layla Bradford, the heroine in “Once Again”. She’s a middle-of-the-road student, not popular but not the bottom of the social ladder either. She’s comfortable in her own skin, but still a bit insecure about what other people think of her. I was that way in high school. I didn’t want to “be” like everyone else, but I did want to feel accepted, or at the very least, respected. Layla’s journey in the book is more than just falling in love with Lucas and solving the reincarnation mystery. It’s about self-discovery, and learning to believe that who she is is absolutely and completely good enough! Read. Always. First of all because I miss reading when I’m writing heavily. Second, because nothing inspires me more than experiencing the genius of other authors! There are always surprises! I generally have the beginning, the main conflict/plot and the ending in mind, but many times the “stuff” in between changes course. For instance, in “Once Again”, the identity of the villain changed! I thought I knew who the bad guy was when I started writing, but I was surprised! Thank you SO MUCH, Amy, for being the first author in our inaugural launching of Readers’ Write to Know Wednesdays! This entry was posted in Giveaways, Hallee's Interviews with Christian Authors and tagged Amy Durham, giveaways, Once Again. Bookmark the permalink. 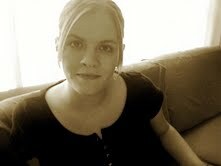 7 Responses to Interview: Author Amy Durham! Great interview and love your answers to the questions, Amy. Sounds a lot like me! LOVE Once Again and so totally can’t wait for the next one. I can’t wait until my days free up and I can put a dent in my massive TBR pile. Once Again and Sapphire Ice are both waiting on my Kindle. I just need the third week of May to hurry up and get here. Awesome interview! I love that the questions were from readers. Great interview. Love yout site too. Lots of great content. Wonderful interview! I would LOVE to win a copy of this book! Sounds amazing. I’ve been meaning to get over here and leave a comment, but my life kept interfering! Ha! Thanks so much, Hallee, for having me come hang out with you. And thanks to everyone who came to read and/or comment!